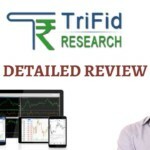 Trifid Research is a leading advisory firm based out of Indore, Madhya Pradesh. Established in the year 2010, Trifid Research, with its 350+ employees, offers services to retail as well as institutional clients. Some of the researchers of this advisory house also appear regularly on few business news channels such as Zee Business. The research house has recently launched their Android mobile app as well to provide quick and regular tips to their clients. 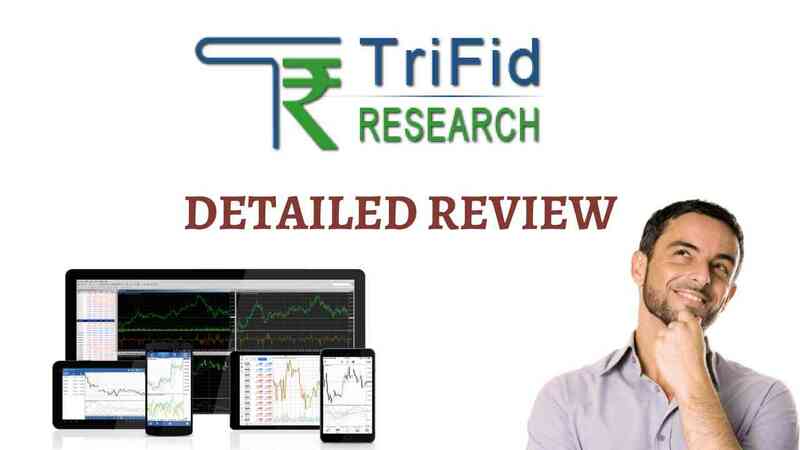 Now, we will check out different services, plans and pricing offered by Trifid Research. All these services have various plans that are segregated according to client’s preferences and requirements. This bifurcation allows a lot of flexibility to clients so that they pick and pay only for those plans that they look forward to using in the stock market. These reports are provided to clients on a Daily basis before the market opens up and the content is based on the kind of segment(s), you have opted for. The reports contain information on Indian and Global market updates, Intraday tips, momentum stocks and more. In this plan, the clients get 2 webinars every month, 3-4 daily Cash market calls, 1 or 2 momentum calls per week etc through SMS and Whatsapp. The plan requires the clients to work through small capitals itself and thus, mitigates the risk of any potential huge loss. Clients get access to 2 webinars per month, 1 or 2 Daily fortune calls, Intraday high volume stock picks for the day with each call providing 2 targets and 1 stop loss figure. In this plan, the calls are carefully picked with focus on the quality of returns rather than quantity of tips. These are purely technical calls for short-term quick gains consisting of 2 webinars/month, 3 to 4 daily stock futures calls, 1 to 2 momentum calls per week. Like other plans, all the communications are done majorly through SMS and WhatsApp/messenger. Targeted for clients who prefer quality over quantity of tips, Fortunes futures pack provides 2 webinars per month to go along with 2 to 3 Fortune futures calls on a daily basis and technical calls/picks for the day. This plan is specifically for those clients who prefer to trade at indices directly. Nifty is a volatile index and thus, quick judgment is the key to regular profits and returns. In this plan, clients get 1 or 2 daily calls with around 20-25 calls per month. In this plan, derivative traded instruments such as Stock and Nifty options are traded. Options-Call & Put Tips service is particularly intended for Options Traders and all of that is part of this plan. Users get 30-35 Derivative options every month along with 2 monthly webinars from Trifid Research team. This Combo pack is designed for traders interested in multiple segments of the market and thus, clients get 7-9 Daily calls across Future and Options, Cash, BTST, STBT focussed on short-term delivery and intra-day cash segments. As the name suggests, the calls are around the commodity segment with a number range of 18-20 calls in a month. Clients are advised to keep the holding period for 1 or 2 days in this plan, at max. The calls come with 2 target prices and one-stop loss. Trifid Research offers telephonic support from 10 am to 11.30 am every weekday in this plan and provision to have a one-to-one discussion with the research analyst. Users looking to diversify their investments in segments such as Commodities may find good returns in Agri-segments offering trading opportunities. Clients get 3 to 6 daily calls with information on entry and exit points. In this plan, users get access to both fundamental and technical tips in the agri-commodities segment. However, the focus here is quality of calls and thus, 1 or 2 calls are provided on a regular basis with full telephonic support to clients. Clients looking to trade in the international commodity market can use this plan of Comex Tips. Again, in this plan as well users get 1 or 2 daily calls specifically in Gold, Silver, Copper and Crude Oil traded in the international stock market. Forex trading is gaining decent visibility on a daily basis in the eyes of current and prospect traders. It is certainly a very volatile segment but at the same time, brings in huge profit-making opportunities at the same time. Trifid Research provides 2-4 daily calls with support on all major currencies. This particular plan is designed for high net worth individuals (HNIs) where each client is provided with a relationship executive and a research executive. This team is aligned with the client and helps clients on a regular basis. Users get personalized services through multiple channels and the idea in this plan, like other plans, is to bring consistent returns for their clients. Customer service can be improved in terms of turnaround time and overall resolution quality. Too many plans may confuse users as well, especially the beginners. Well designed segregation of plans as per different user requirements and preferences. Reasonably visible and prominent research expert team. Many self declared researcher and advisors from indore and bhopal misguide investors,they pick the holders data from brokers site and assure them for a huge profit.they say themselves a big researcher and ask for fee for stock cash,future,nifty and many more.TRIFID RESEARCH AND CAPITAL ERA is one of them.Ialso have some call recordings made by there researchers.they download their previous advisory data on site which is completely fake.I want strict action against these companies. I agree with Dinesh Kumar. This company is looting investors. We should not stop here, but take up the matter with SEBI. If the regulator receives lots of complaints against this fake company, it may think to take class action. Be careful with this trifid company.as per my experience trifid is one of the unprofessional and fraud company.how they cheated me I am gonna to download on YouTube very soon.